Paluküla Church is on the island of Hiiumaa, which lies off the western coast of Estonia, with the smaller island of Vormsi in between the two. Paluküla is a village on the northern part of the island, in the parish of Pühalepa, about two kilometres inland from the north-east coast. 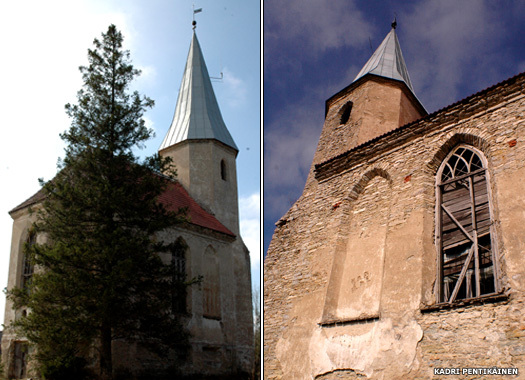 Although many of Hiiumaa's churches are very poorly documented, it is known that Paluküla Church was build in 1820 by the sons of Otto Reinhold Ludvig Unger-Sternberg. He was a descendant of the ancient German aristocracy which had Christianised Estonia in the twelfth century. Otto Reinhold Ludvig Unger-Sternberg was also the most famous landlord on the island of Hiiumaa. People called him 'The count of Ungru'. 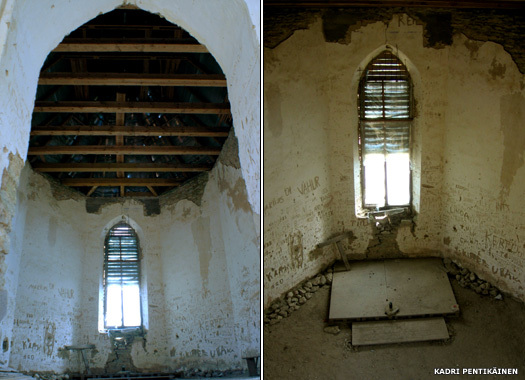 Initially the church was planned as the chapel and internment tomb for his family but this plan failed because groundwater levels turned out to be too high for tombs to be constructed. 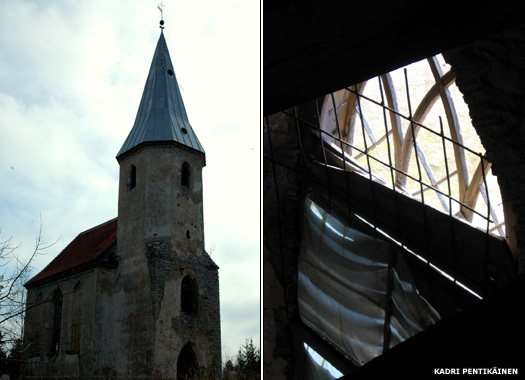 Until 1939, the church building was functioning as the assistant church, or chapel-at-ease, for the nearby large town of Kärdla, about five kilometres to the north-west. 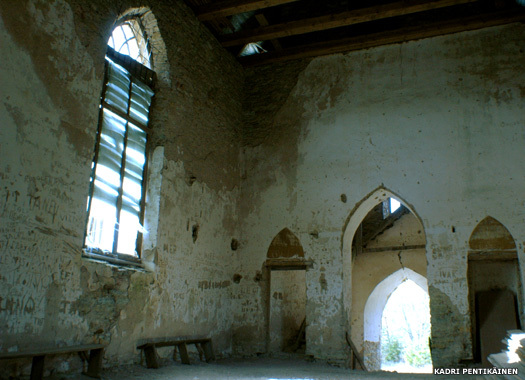 There used to be a hundred seats for the parishioners who were directed here to worship. 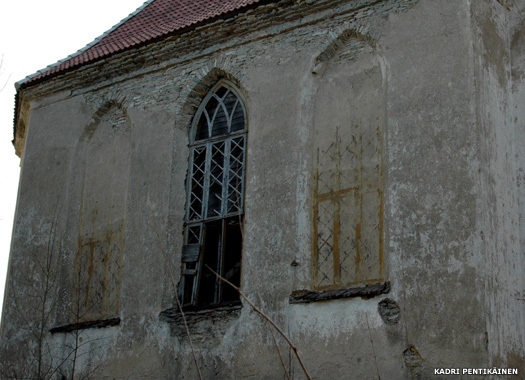 Unfortunately, thanks to its secondary status, there were no facilities built for the church, no quarters for the pastor and not even a graveyard nearby, only this church at the side of the road, inside the heath forest. 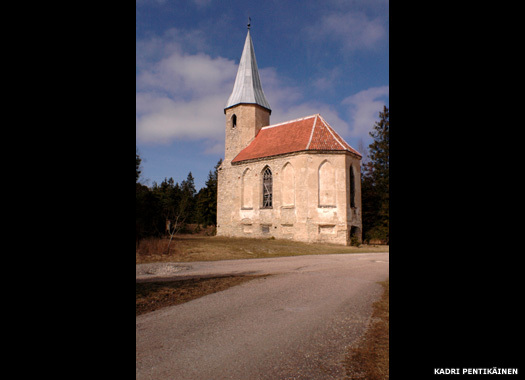 In the summer of 1939, when newly occupying Soviet troops started to construct army bases on the island of Hiiumaa, they also occupied Paluküla Church. 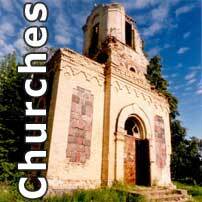 The Soviet army used the church as a warehouse and its tower as an observation point. 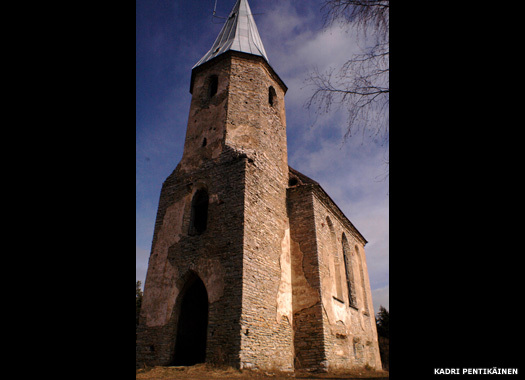 After the Second World War, Paluküla Church was not re-established as a sanctuary. Also its function as a warehouse diminished over time. In the spring of 1989 the building suffered a large fire, in the course of which the tower was destroyed. The church’s main roof was finally restored in 1994, using red tiles. 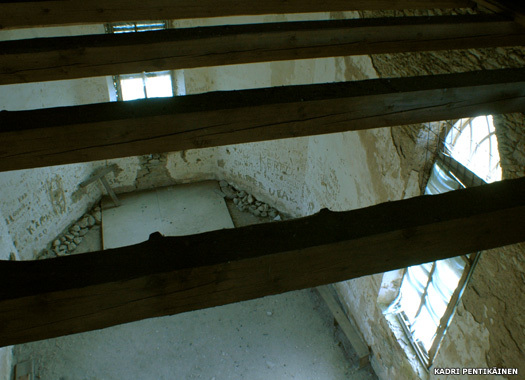 Two years later, in 1996, the tower roof was also restored. 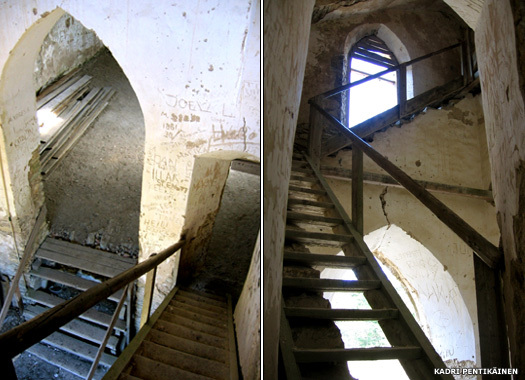 During a century and-a-half of its total existence of nearly two centuries, the impressive tower of Paluküla's church was also an official landmark for use by navigators in the Baltic Sea. In around 2001 the fixed red night light was discontinued, but the spire still provides a daytime marker. 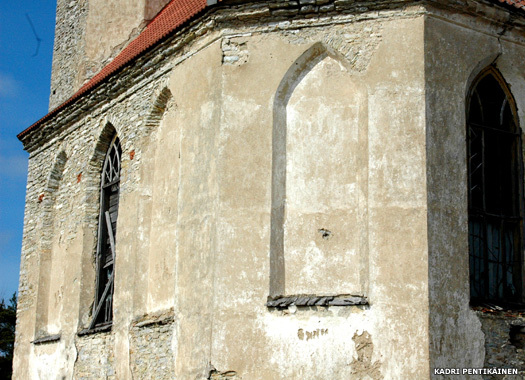 Now, although the church is still not in use, it faces a less uncertain future as reconstruction work slowly restores this wonderful example of German-Estonian church architecture to its former glory. All photos and text on this page contributed by Kadri Pentikäinen.